Special for V-Grooving V 90° of Alucobond Panels mm.4000x2100. 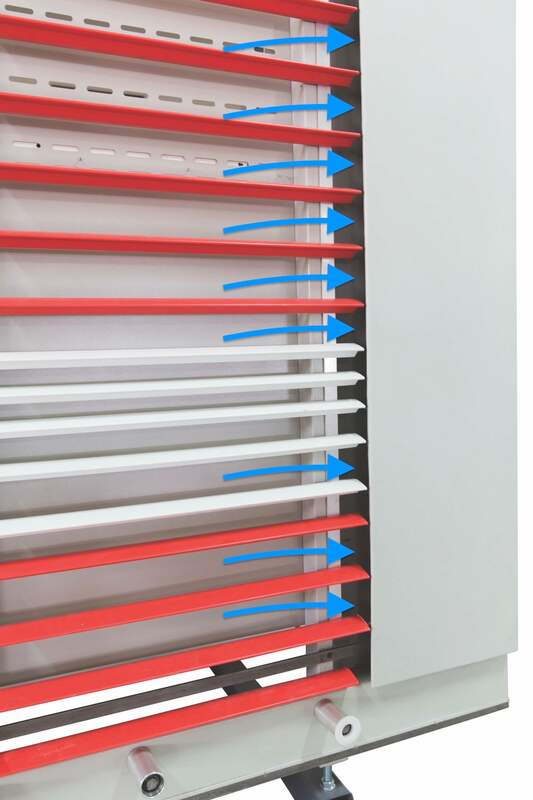 Digital visualizer for vertical and horizontal cuts. Kit angular cut device. Patented System to Pass from Cutting to V-Grooving (Milling) in 1 second. 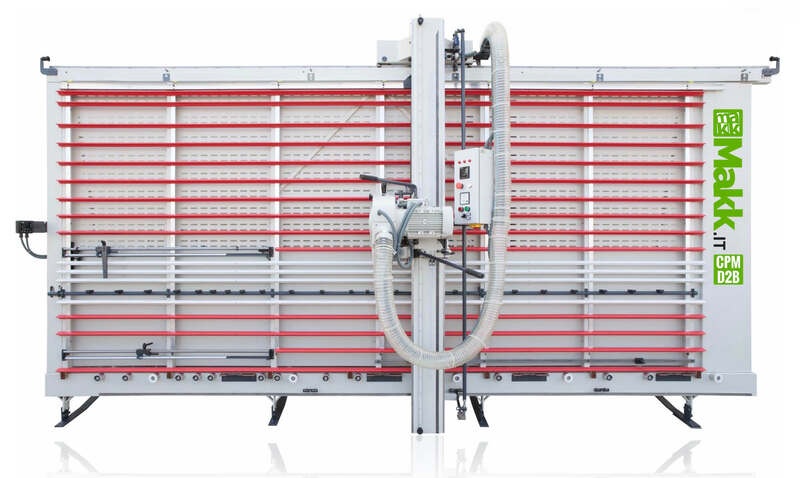 VERTICAL PANEL SAW V-GROOVING ALUCOBOND CPM-D2B MAKK – E.C. 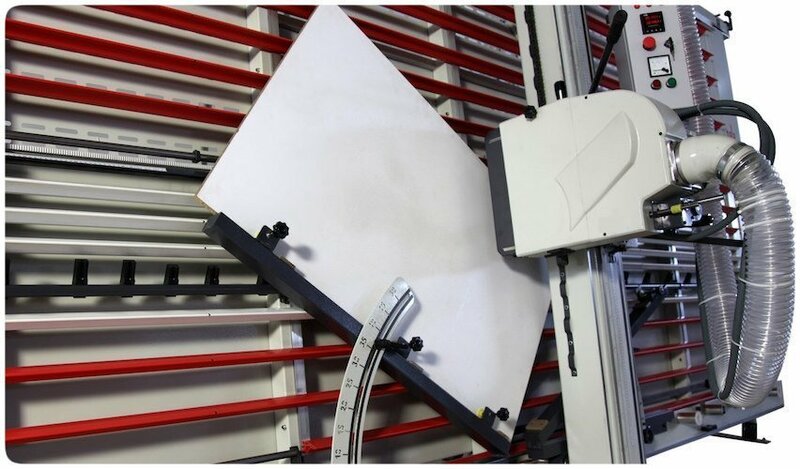 Special for Cutting and V-Grooving (V 90°) of composite panels (Alucobond). 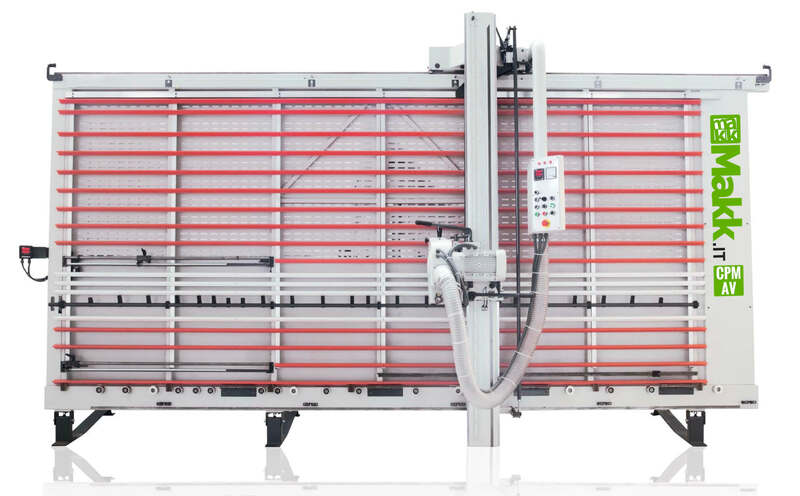 Digital visualizer for vertical and horizontal cuts and v-grooving. Kit angular cut device. Automatic movable table. Cutting panels mm. 4000×2100. 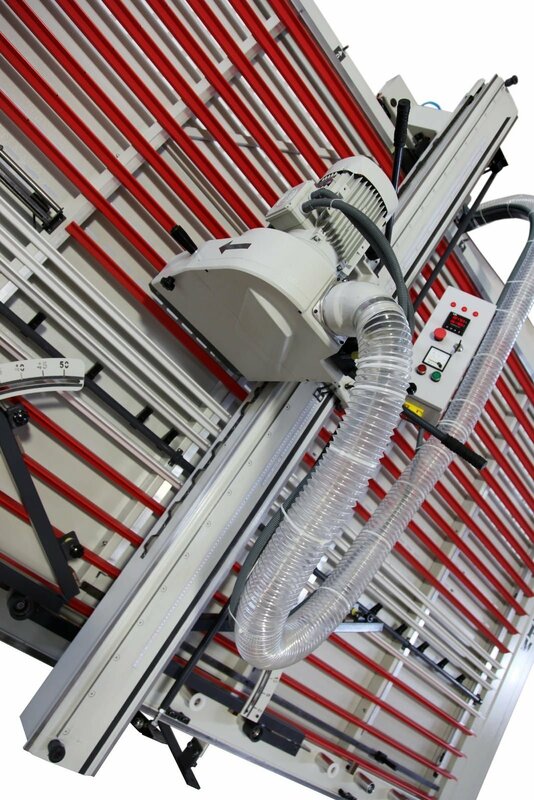 Machine for cutting and milling Alucobond-composite panels either in vertical or in horizontal, for any cutting need, with the best quality/price ratio on the market. 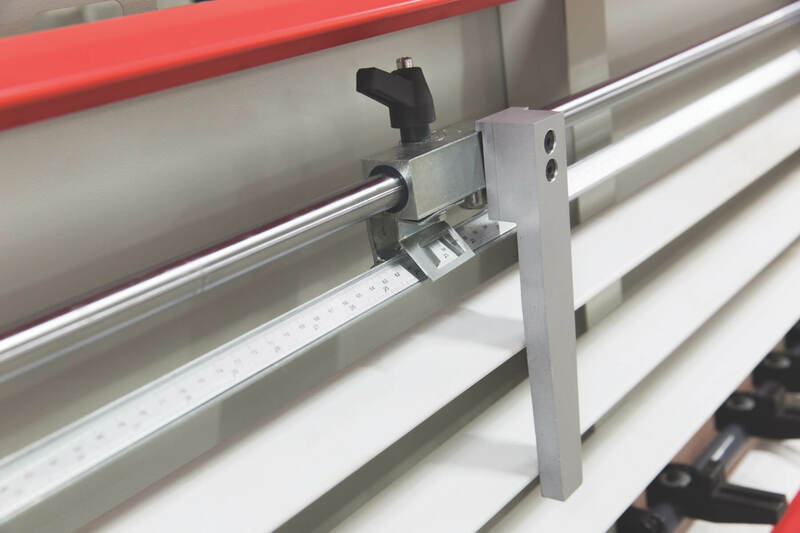 Manual deplacement of the upright through the blade group to make vertical and horizontal cuts by means of manual lever. 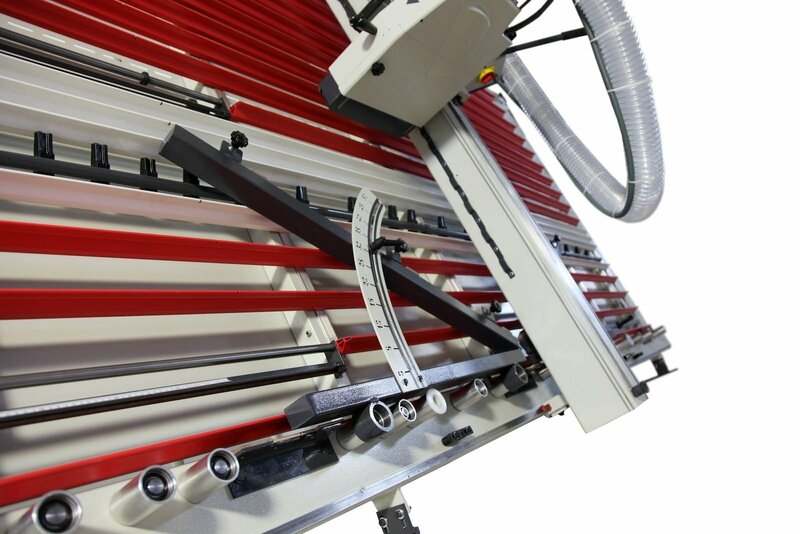 Digital visualizer for vertical and horizontal cuts and v-grooving. 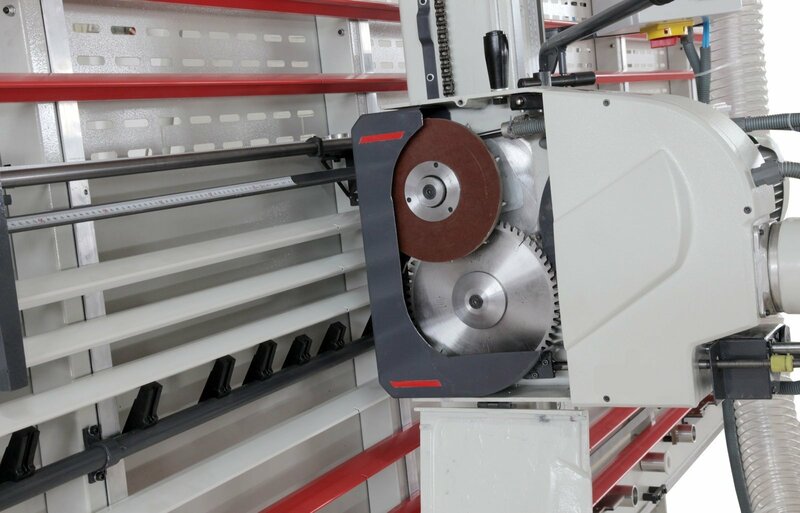 Pneumatic locking on upright and blade group for horizontal and vertical cuts and/or millings, through selector on control board. Lower panel supports with metal wheels. – Rotation speed of the V-Grooving milling cutter: 5800 r.p.m. – Total weight: 685 Kg. 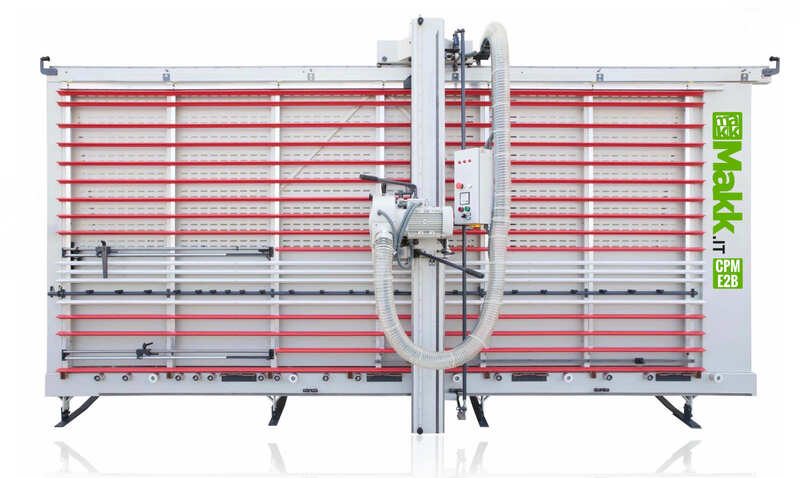 VERTICAL PANEL SAW MAKK V-GROOVING Mod.CPM-D2B – E.C. Rules. 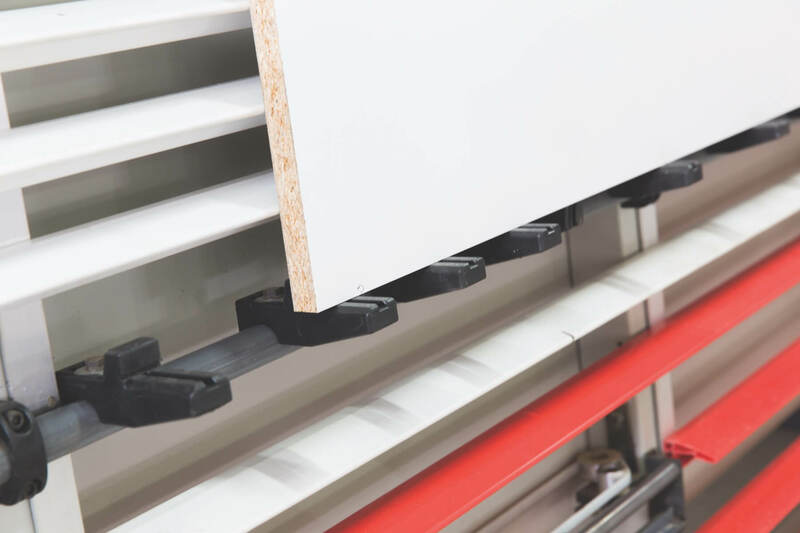 Special for Cutting and V-Grooving V 90°/135° of Alucobond panels. 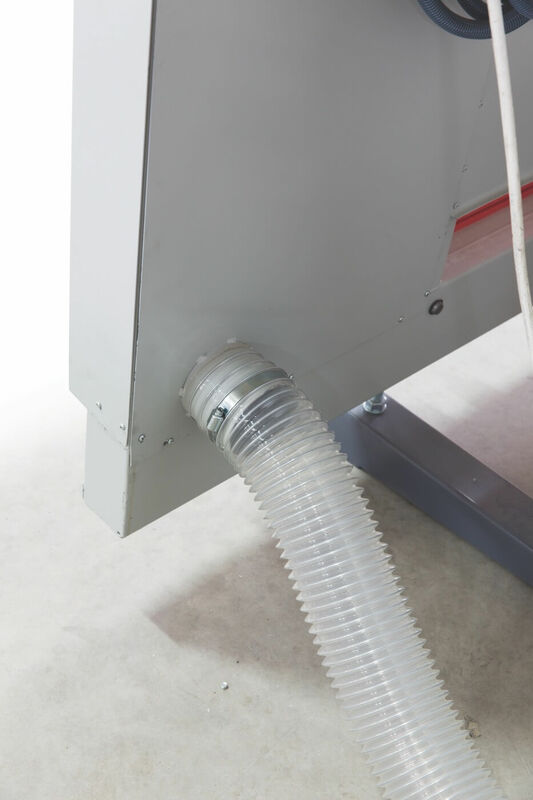 Patented System to Pass from Cutting to Milling (V-Grooving) in 1 Second. Automatic movable table. Cut of panels mm. 4000×2100. 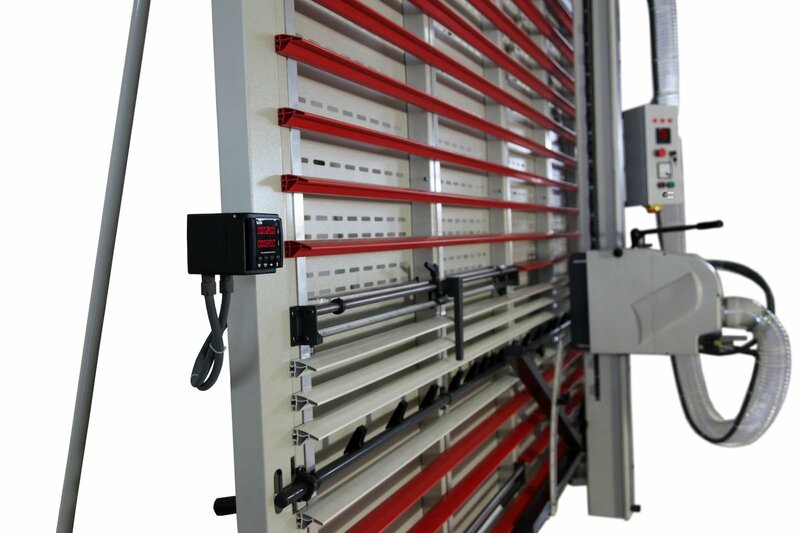 Digital visualizer for vertical and horizontal cuts. 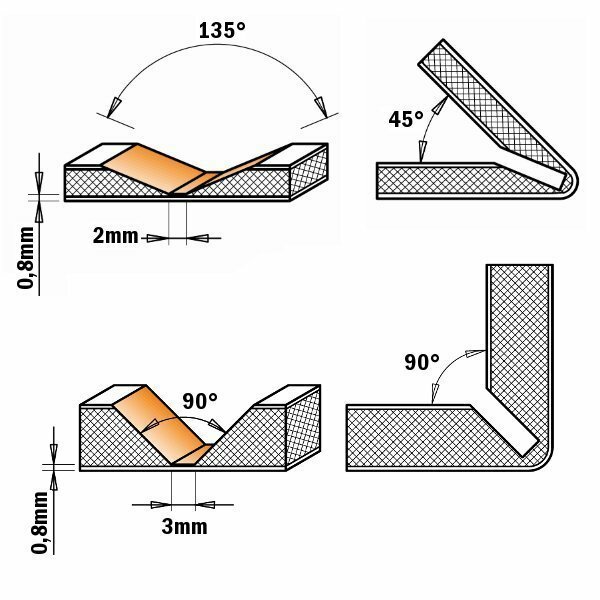 Kit angular cut device. 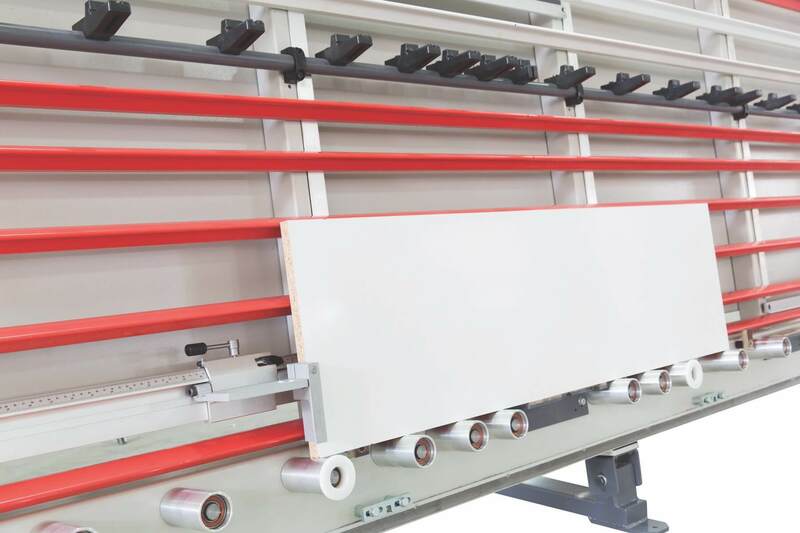 Machine for cutting and milling composite panels, Alucobond-type, either in vertical or in horizontal, for all cutting needs, with the best quality/price ratio on the market.